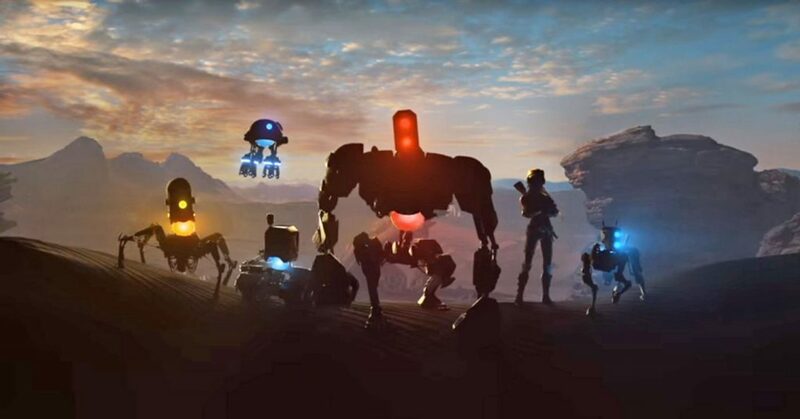 ReCore was one of many games Microsoft featured at The Nerd Machine’s Nerd HQ SDCC offsite event, and while it was rough around the edges, there’s potential for a really fun game here. When the game was first revealed at E3 2015, I thought we were getting a third-person adventure game. While that may still be the case, the game also has its fair share of shooting which beckoned me to compare it to the superb Jet Force Gemini on the Nintendo 64 — not the annoying Xbox One port via Rare Replay. Unfortunately, I felt like the controls were about as unenviable as Rare Replay‘s Jet Force Gemini. 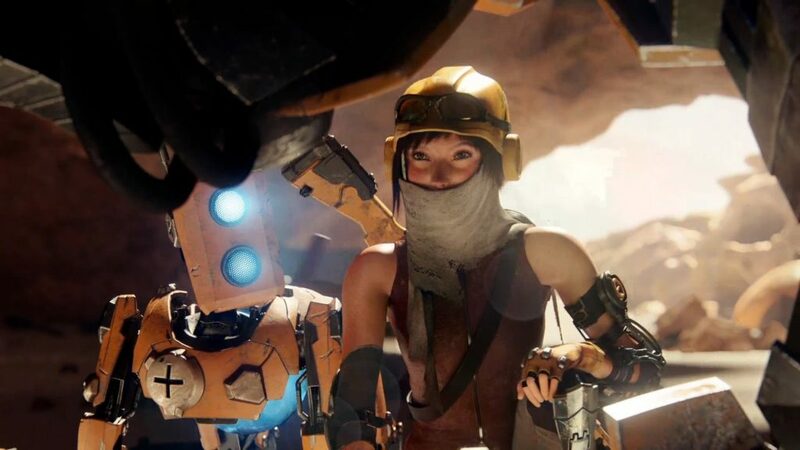 The demo at Comic-Con dropped us right into the action with Joule, a young woman in a desert getup who looks like a more colorful version of Rey from The Force Awakens. At first, the controls felt fluid. You can move around, and she has a double jump that’s pretty nifty. I had some issues with the camera when it came to jumping over chasms, but any platforming veteran eventually gets used to that. With Keiji Inafune of Mighty No. 9 “fame” at the helm, the game has some gunplay put on the forefront of the action. Enemies in the game show up sporting different colors–red, blue, and yellow, so you it’s essential for you to change the ammo in your weapon from red, blue, and yellow as enemies can only be hurt when shot by a projectile of the same color. Joule and her robot companions are ready to wreak some havoc… just as long as they’re shooting enemies of the same color. While this was easy to figure out at first, as you progress through, more enemies of different colors start to appear, and the controls start to become a bit of a mess. Because you have to use the directional pad to change colors, it means you also have to move your thumb from the control stick to the pad. This pretty much forces you to stand still while switching, unless you think of some way to have immediate access to both of the controller’s functions at the same time. This resulted in a lot of dying, especially when enemies spawned left and right. I ended up spamming charged up projectiles using RB, which actually was more effective in clearing out rooms. 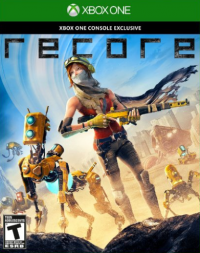 Once you get passed the controls, ReCore gets pretty fun. The game comes out on September 13 at a lower pricepoint of $39.99. We’ll have a full review at about that time. For more from SDCC 2016, check out SmashPad’s SDCC hub here.